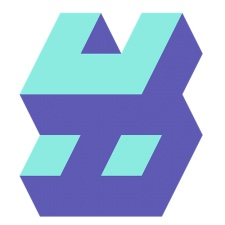 Cloud games service Hatch Entertainment has joined forces with Japan’s largest mobile operator DOCOMO to bring the platform to TV and mobiles across the country. From February 13th Hatch will soft launch in Japan for Android phones while simultaneously being updated onto all DOCOMO’s Android TV-based set top boxes. Android users will be offered a free 90-day trial membership of Hatch Premium. The partnership between Hatch and DOCOMO will see Japan become the first country to introduce Hatch Premium. This allows consumers to sign up to a paid subscription service that gives players access to a set of games to stream, similar to Netflix. Users will also gain entry to exclusive games developed for the platform under the banner of Hatch Originals as well as kid-friendly content on Hatch Kids. DOCOMO believes the deal will show off the potential of 5G for gaming in the country. Following the partnership, the Japanese firm's subsidiary NTT DOCOMO Ventures made a minority investment in Hatch. The two companies will also work on expanding into more esports ventures while looking to bring more locally produced games into the service. Both firms are set to appear at EVO Japan 2019 held in Fukuoka from February 15th to February 17th. This news follows a recent partners between Hatch and UNESCO to introduce better educational games for Hatch Kids.